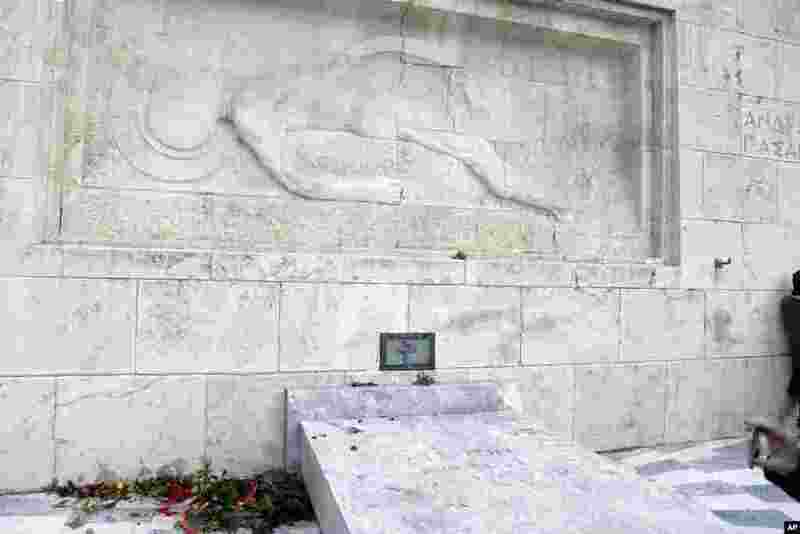 5 A wreath laid earlier by visiting German Chancellor Angela Merkel at the Tomb of the Unknown Soldier in Athens lies on the ground after being destroyed by protesting state schoolteachers in Greece. 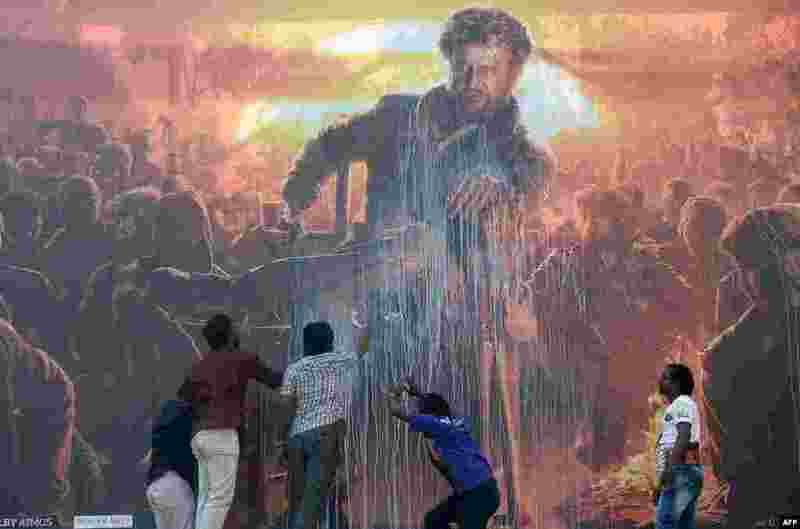 6 Indian fans spray milk on a large advertisement showing the picture of Bollywood star Rajinikanth, in a celebratory act meant to bless their favorite film star's new movie, before attending the show of the new Tamil-language film 'Pettai' in Chennai, Jan. 10, 2019. 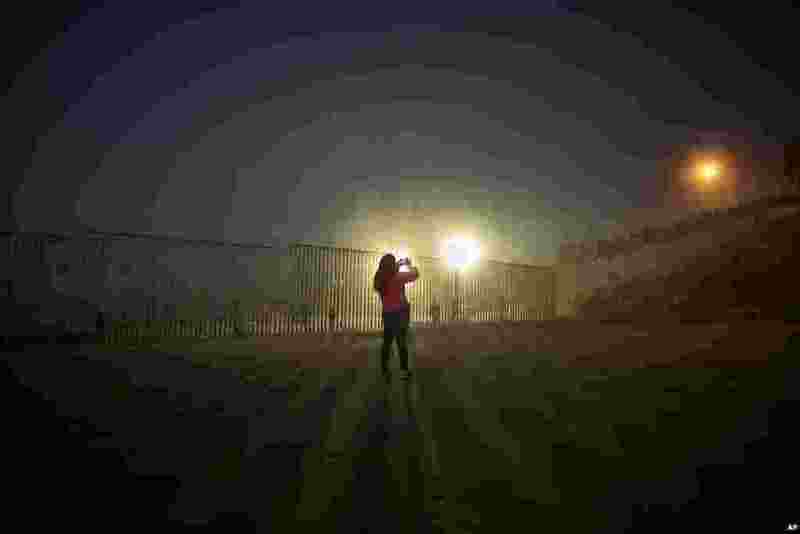 7 A woman records with her phone, as floodlights from the United States light up the border wall, topped with wire, along the beach in Tijuana, Mexico. 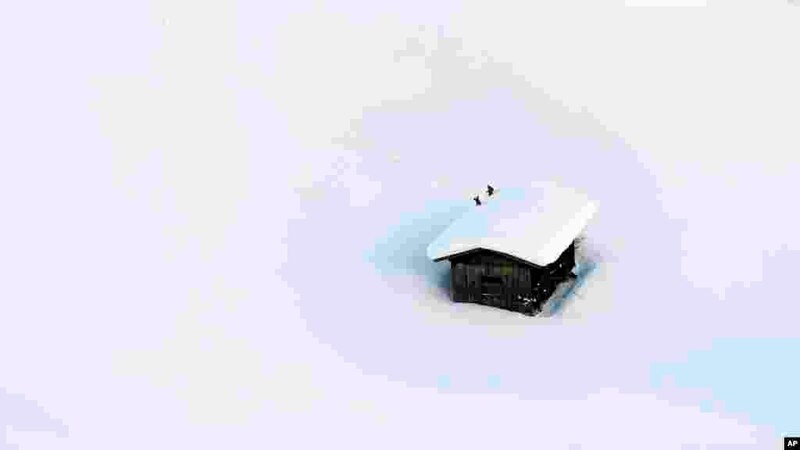 8 People clear a roof from snow in Lofer, Austria.